SUNDAY April 28 at the OHYSA fields. Please refer to the picture schedule on the left to determine your team`s picture time. We have a prepay option for all families who would like to purchase online and in advance of picture day. This will allow you to avoid waiting in the table line for credit card swiping. 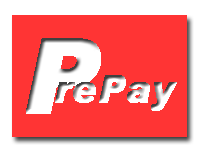 YOU WILL RECEIVE TWO FREE WALLETS IF YOU CHOOSE OUR PREPAY OPTION. Please note our prepay option is only available until midnight on Saturday April 27. PLEASE PRINT AND BRING YOUR PREPAY TICKET WITH YOU TO PICTURE DAY TO RECEIVE YOUR 2 FREE WALLETS. If you choose not to prepay, simply print your order form, complete in ink and bring with you on picture day. All photos will be mailed to your home address. The shipping and handling fee is $3.75 per order. Be sure to provide your complete mailing address. Please note that the pricing and packages are good on picture day only. It is a sincere pleasure to photograph your child and we thank you for this opportunity. It is always our goal to provide the highest quality images, the best customer service and the most competitive pricing in the industry. Thanks and we will see you on picture day.